It was a special friend’s birthday and I was frantically looking for a spot to take him to dinner in Lagos. I wanted a romantic feel with an elegant setting, and relaxing ambiance. 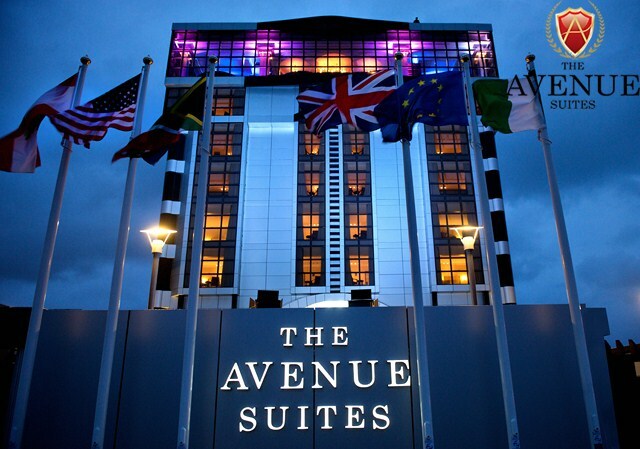 After bouncing several ideas, I remembered that I’d always said I wanted to check out The Avenue Suites, so I decided to check out their website. After spying the different restaurants and menus online, my mind was made up! Food: When we got there, the waitress brought out groundnuts, popcorn and bread while we perused the menu. I didn’t get around to eating the nuts and popcorn, but the bread was AWESOME! I wish they served it with honey though. We ordered chicken spring rolls, and I’m almost certain they’re the best ones I’ve ever eaten. The chicken was soooo soft and melted in my mouth… yum! Unfortunately, by the time my food came, I was full on bread and chicken spring rolls, but I picked a little bit at my dish (White Fish Brochettes with Sauteed Vegetables and Fries). The fish was really soft – almost too soft, actually. And we ordered ice cream to cap it off, but ended up packing it to-go, since we were really full. The ice cream was pretty good though. I’d definitely give them a 2-thumbs up and I’m coming back! Ambiance/Décor: It was excellent! The lighting was just right – not too bright, not too dark. There’s a smoking and non-smoking section, so you get to choose where you’d rather sit. I wish we’d gotten there in time to get a window table, just so we had a view. Regardless, Uptown is definitely a place to go for a romantic night out. Service: The wait staff was great. They were all very courteous and accommodating. Overall Value: The good thing about Uptown is that their menu is online, so you can see how much you’re going to spend beforehand (be sure to add the extra 5% VAT, and 10% service charge). It was more pricey than I’d usually go with, but this was a special occasion so I didn’t mind shelling out the extra money. Our bill came up to N15k.